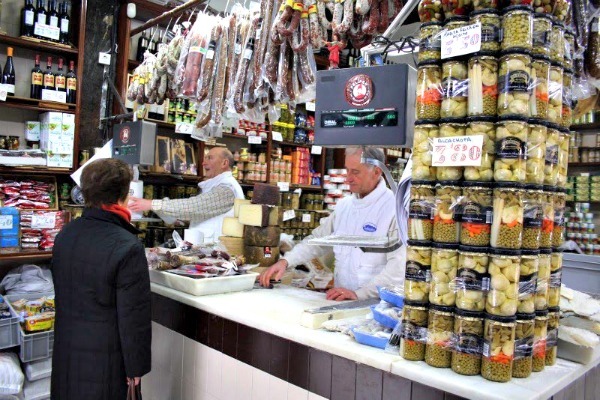 Spain, a crossroads where peoples and races meet, a melting pot of cultures, is a place whose gastronomy constitutes one of the richest manifestations of its historical legacy. Rich because of the many civilizations that have left their mark in the Spanish art of cooking and eating, with their traditional flavours and techniques; and also because of the climatic diversity, which makes possible the great variety of products that are the basis of our diet, one of the healthiest in the world, according to nutrition experts. Certainly, Spain does have a privileged gastronomy. Privilege because in Spain it is possible to have fresh fruits and vegetables all year round, which can reach our tables only a few hours after they have been harvested. A privilege because in Spain we grow olive trees, which give the most natural oil, the healthiest and most flavourful, the only one that can be obtained by pressing alone, and which permeates, with its taste, many of our dishes. A privilege because, in Spain, vines thrive and wine is produced, and according to Leonardo da Vinci, it is only in places like this that happiness can really be attained . The advantage of having both mediterranenan and atlantic coasts, and of being near the main migratory routes of fish, allows us to have such great number of species that we are the envy of the fish-eaters of the rest of the world. All kinds of tuna, magnificent hake, delicious red bream, delicate sea-bass and gilt-head seabream, juicy sardine and anchovy, bold mackerel, tasty turbot, excellent sole; anglerfish, hake, snapper, white seabream, parrot fish, dentex, swordfish and a many, many more. All of them can be grilled, cooked in a variety of sauces, baked, or fried like nowhere else in the world, it being possible to eat fish every day of the year without ever having the same dish twice. If we add fresh water species like salmon, brown trout, lamprey and trout, among the best known; excellent shellfish including prawns, shrimp, quisquilla (small shrimp), Norway lobster, lobster, crayfish, spider crab, small crab, barnacle, oysters, clams, scallops, cockles, mussels, sea urchin and espardeñas, to name a few, and our really hard to match quality standard, it is easy to understand why Spain is a fish-lover's paradise. Meat specialities revolve around roast dishes, particularly the ones made with light meats from suckling animals, full of flavour and very tender, like suckling pig, lamb and goat. Currently, different varieties of beef are being produced, labelled under different Designations of Origin that guarantee their quality.